Location Location Location!! On Hylan Blvd, corner of Clove Road. Investors Delight. 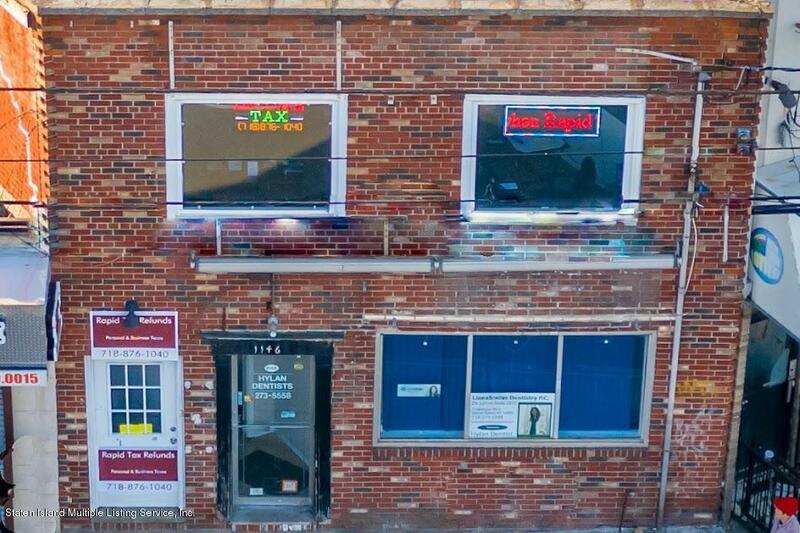 Busy commercial area with great visibility-public transportation in front of building. Minutes to Verrazano Bridge. 3300 SQ FT of office space. Excellent rent roll, tenants pay all utilities. Full basement with 1/2 bath-2 parking spots and shed in the rear. Offices were recently renovated in 2018. New roof installed January 2019.